Paolo Pasta Lanna and The Rhythm Stompers join the Jazz At Lincoln Center Orchestra for three fabulous shows Thursday NOV 17 – Saturday NOV 19. See below for more detail and Tickets. The Concert will also be LIVE STREAMING THURSDAY NOVEMBER 17th, 2016. 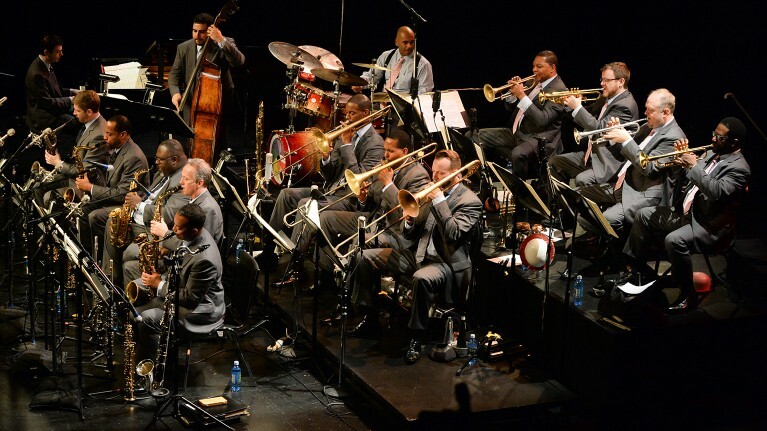 The Jazz at Lincoln Center Orchestra with Wynton Marsalis showcases the timelessness of swing as a genre, cultural period, and musical concept. The big bands that emerged during the Swing Era defined the sound of America – bringing people out of the Depression and ushering in a new sense of possibility….Music director, composer, and JLCO trumpeter Marcus Printup will debut new compositions inspired by this formative decade, as well as arrangements of Swing Era classics and rarely heard works by Duke Ellington, Fletcher Henderson, and Benny Goodman, demonstrating what made jazz the definitive dance music of the 1930s…..
To bring the Swing Era to life before your very eyes, swing dancers Paolo Pasta Lanna and The Rhythm Stompers join the JLCO.